Last Stop Garage is a Canadian 30 minute reality television series, which kicked off on October 23, 2017, on Discovery Channel and is broadcast every Monday at 21:00. The show is currently in its 2nd season. 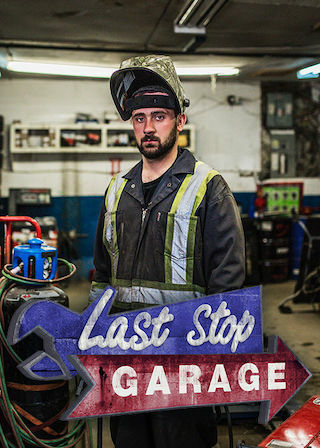 Discovery Channel has officially confirmed the renewal of Last Stop Garage for Season 3. The exact release date is yet to be announced so far. Sign up to track it down. Last Stop Garage stars a colourful crew of ingenious mechanics who operate out of CRB Automotive a family-owned garage in North West River, located at one of the furthest driveable points on the eastern seaboard. Using sometimes questionable backwoods resourcefulness, the clever automotive-hack specialists put their "mechanical magic" to work, fixing and building just about anything for anyone in their remote town of 553 residents. With a whole lot of heart, they "get'er done", Labrador style. Just as the community relies on the shop, the mechanics rely on the eccentric locals for wisdom, parts, and a helping hand. Labrador’s rag-tag team of “MacGyver”-like mechanics returns for the second season of LAST STOP GARAGE (Discovery).